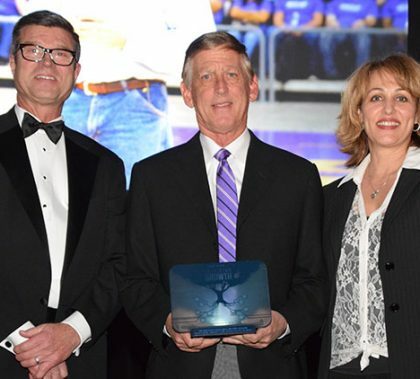 The Governor’s Celebration of Innovation was Thursday night, and GCU President Brian Mueller was named the Business Leader of the Year. Steven Zylstra, president of the Arizona Technology Council, said Mueller’s efforts at the University are the talk of the town, but Mueller said it’s the result of teamwork and trust in God. This week’s edition of Antelope Intros features a junior counselor supervisor who enjoys the performing arts and has acted in several shows in the Valley. The other is a housing operations coordinator and travel lover who is also passionate about basketball. 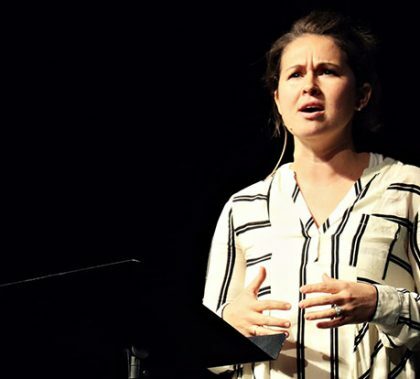 Courtney Cleveland used her Chapel talk Monday morning to get into uncomfortable territory for some people: depression and feeling worthy. She said the story of Jesus and the Samaritan woman at the well brought some clarity to her feelings. 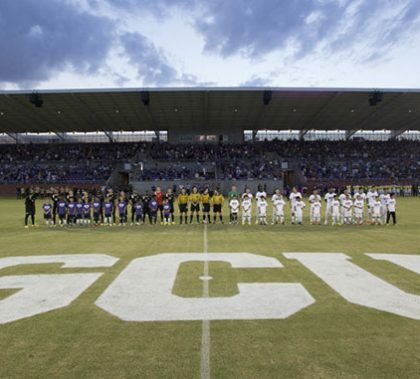 GCU is in the fourth and final year of the transition to NCAA Division I, but it isn’t just about sports. “This is a university process, not just an athletic department process,” said Jamie Boggs, deputy athletics director. 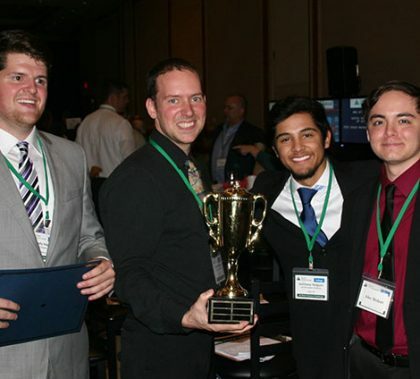 A team of four GCU students didn’t just win the college competition Thursday night in the Junior Achievement of Arizona’s 11th annual Stock Market Challenge in Scottsdale, it earned a higher return on its original investment than any other team, including those from major Phoenix area companies. “They’re sharp, they’re good students and they were passionate about and interested in developing the skills to compete,” said Dr. Ernie Scarbrough, who along with Mark Jacobson trained the students for the event. Photos by Darryl Webb GCU News Bureau The Grand Canyon University men’s basketball team opened the 2016-17 season with an 88-83 exhibition victory over Adams State before a sellout crowd of 7,221 Thursday night at GCU Arena. This Week’s edition of Antelope Intros features a new program manager in the Canyon Christian Schools Consortium who strongly believes in servant leadership and is proud of his journey with Christ. The other is a University counselor and retired Army Sergeant whose favorite vacation spot is right off the south coast of Korea.